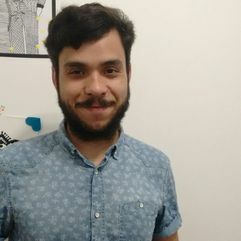 Vinicius Woloszyn received his MSx degree in Computer Science from Federal University of Rio Grande do Sul, Brazil (2015). He worked in different research centers, such as Grenoble Informatics Laboratory, France (2014), Austrian Research Institute for Artificial Intelligence, Austria (2016), Universitat Pompeu Fabra, Spain (2017), Leibniz Universität Hannover,Germany (2017). His research interest includes Natural Language Generation, Personalization and summarization of texts, and Fake News Detection. Currently he is Ph.D. Candidate at Federal University of Rio Grande do Sul, Brazil.